After a sudden bereavement, Luke (Steven Brandon) - an independent young man with Down’s syndrome - finds himself living in a care home. Bewildered and grieving, he longs to return to his old life and daily routine. However, against all odds, he finds friendship and support from Eve (Shana Swash) his kind and feisty carer, and Pete (Will Rastall), a man doing community service in a field nearby. I am frequently amazed at how quickly some directors can make me care about their characters. How fast I can become emotionally invested in a movie. How the smallest of details can draw me in. Case in point - I was utterly gripped by Luke’s journey from the very earliest scenes of My Feral Heart. As he drew a smiley face on a boiled egg made for his mother, so I fell in love with Jane Gull’s charming film. On paper, the story is slight. However, so much more lies beneath the surface. Here, Gull explores themes of perception and acceptance, friendship and trust, love and loss. My Feral Heart certainly runs the gamut of emotions. At times, the film is warmly funny, while, at other moments, it is utterly heartbreaking. In a film that often studies his face, Steven Brandon gives a brilliant performance as Luke. He is by turns vulnerable and also fiercely independent, in need of help and also ready to provide care. He is unsure of his place in the world, a struggle that he shares with Will Rastall’s mysterious Pete. Their friendship, and that of Eve (a lovely performance from Shana Swash), is wonderful to watch and becomes increasingly important as My Feral Heart’s story develops and we begin to fear for Luke and his well-being. Meanwhile, just as impressive as My Feral Heart's central performances is the film's cinematography. In the beginning, Director Of Photography, Susanne Salavati, infuses the movie with suburban reality (the sound and production design in these scenes are both perfect). When Luke moves to the care home in the country, the film lingers on visually stunning and evocative scenes of nature. These sequences highlight Luke’s desire for independence, meaning and also his need to contribute. It is all too easy to miss small, independent films like My Feral Heart. They don’t have the budget for loud marketing fanfare or even wide cinema distribution. However, word of mouth is a powerful force and that force is strong with Jane Gull’s wonderful film. 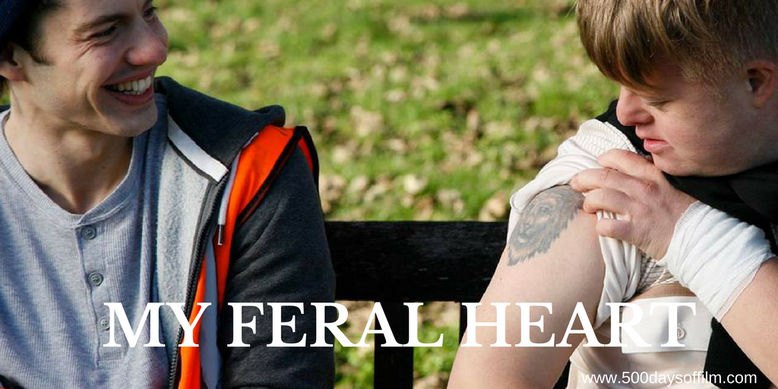 My Feral Heart was part-funded by IndieGogo. Have you seen My Feral Heart?